For many people, dogs are man’s best friend; the companions we need to provide us and our families with that unconditional love that only they can bring. However, for others, encountering dogs can be a frightening, harrowing experience, particularly for victims of dog bites. Not only are they typically left with a frightening array of injuries, but many directly implicated by the incidents don’t seem particularly bothered, some not even apologizing. Demanding particular information from the dog’s owners—such as proof of current rabies vaccines—should not be something that is difficult to obtain. According to statistics gathered by State Farm Insurance Co., the number of dog bites has recently been on the rise, and approximately one in five dog bites becomes infected, typically due to the bacteria in the dog’s mouth. Many health professionals recommend that all dog bite victims get a tetanus booster shot after being bitten. In addition, in some hospitals, nearly half of all dog bite injuries treated in emergency rooms every year involve children, some of which are hurt badly enough to be hospitalized for some time. After a dog bite incident and an associated complaint is filed with the health department, many counties task the animal control or center to investigate the incident and quarantine the dog for several days, either at a shelter or at home. If the dog bite victim does go to court, the dog can be deemed a potentially dangerous animal, which then directs what happens to the dog and any provisions that may apply to continuing to keep that dog with the owner. What happens as a result of a dog bite victim complaining to the health department largely depends upon local regulations. In Florida, if the dog’s owner violated a local ordinance, or county or state law, the owner may be found liable for the victim’s injuries. Sometimes, compensation for the victim’s injuries—as well as any pain and suffering, lost wages, and other damages they’ve experienced as a result of the bite—can come from the dog owner’s homeowners or renters insurance, or even other forms of insurance coverage. According to State Farm Insurance Co., the insurer paid out $121 million for 3,660 cases in 2016. 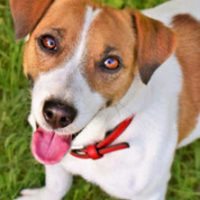 In addition, the property owner—such as a landlord—can be held liable if another tenant’s dog bite the victim, particularly if he or she knew that the dog was vicious and prone to bite someone. As the weather gets nicer, the number of dog bite incidents tend to increase because more and more people are out with their dogs. Make sure you are protected from suffering the repercussions of a dog bite. At Friedland & Associates, we aggressively represent victims of dog attacks to ensure that they are compensated for their medical costs and any other losses. Victims may be entitled to receive compensation for medical bills, lost time from work, loss of future earning capacity, pain and suffering, scarring/disfigurement, and loss of the capacity for the enjoyment of life. Contact our Fort Lauderdale dog bite & animal attack lawyers today to obtain more information.